Apple is also reportedly making big changes to the 2017 iPhone's display. Every day, multiple times a day, I have to swipe a paper Metrocard to get on the New York City subway. Each time I swipe—and occasionally when I don’t nail the swipe and get the dreaded “please swipe again” error message—I curse everyone involved for not making the process more technologically advanced. Apple is reportedly working on a way to let you pay for mass transit with your iPhone, sort of like Apple Pay for the subway. 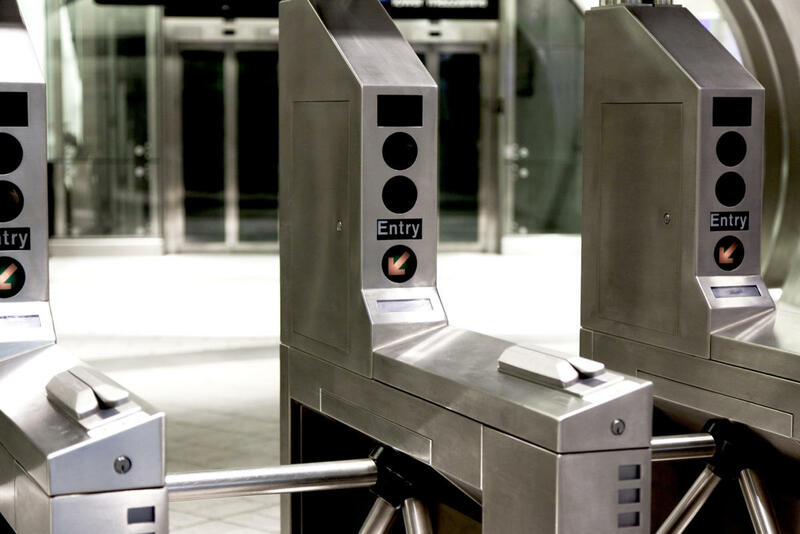 Of course, it’s not starting in New York—the city first has to adopt Near Field Communication technology in its transit payment terminals, which reportedly isn’t happening until 2018. According to Bloomberg, Apple may build a FeliCa chip into Japanese iPhones so users can simply wave their phones in front of a payment terminal to access public transit. The transaction speed is key here, because transit cards need to work almost instantaneously. Even Apple Pay’s relatively fast processing time is too slow for a quick-moving transit system like Japan’s, or New York’s. Sony’s FeliCa chip processes transactions in 0.1 seconds. The chip is the standard for Japan’s existing tap-to-pay technology, and there are a wide variety of physical transit cards that already have the chip baked in. Apple wants the iPhone to represent those cards, which would be stored in the iOS Wallet app (just like your credit and debit cards are stored for Apple Pay). The biggest transit card providers in Japan are Suica and Pasmo, which offer pay-as-you-go options or monthly commuter passes. It’s unclear if Apple is working to bring a similar feature to existing NFC-compatible transit systems in the U.S., like the Bay Area Rapid Transit’s Clipper card. In the U.K., iPhone users can use Apple Pay for pay-as-you-go trips on London’s transit system. An expansion to Japan would be a surefire signal that Apple is moving to replace not just your debit and credit cards, but all of your cards. I for one can’t wait for the day when my phone can replace my flimsy MetroCard, though it’s probably not gonna happen anytime soon. Apple is working to have the feature ready for Japanese iPhones with the iPhone 7 launch this September, but it could be tabled for next year’s iPhone if agreements with the country’s payment networks aren’t finalized in time. The 2017 iPhone, which is rumored to be a major design departure for Apple, may also ditch the Home button altogether to make the phone’s display larger and its bezels thinner, Bloomberg noted in the same report. Apple is reportedly working on a way to integrate the Touch ID sensor—which enables the iPhone’s contactless payments—into the display itself so the Home button would no longer have a purpose.